We're going to take a brief digression from Radioactive today, although it's not too far off the beaten path (after all, the New York Times review described Radioactive as a "graphic novel" back in 2010), to bring you news about an upcoming talk. The speaker is UW-Madison Associate Professor Robin Valenza, and she'll be discussing "How the Comic Book Grew Up." 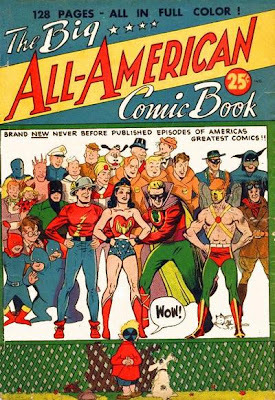 "In the English-language tradition, comic books have spent most of their lives as entertainment aimed at children and teenagers, although nobody has ever pretended that adults did not read them. This talk considers how the books we call comics evolved over the past few centuries, and how they made the transition between being something disposable (whose disposibility was paradoxically connected to their collectability) for young people towards being a respected literary form that now earns pride of place in bookstores under the category "graphic novel." Along the way, the talk will discuss the following: early forms of sequential comic art including oil paintings meant to be viewed in succession for humorous effect, the power of the single-panel cartoon, the appearance of comic strips in newspapers, the voluntary and involuntary censorship that affected the publication and sale of comics, and the annus mirabilis -- the miracle year 1986 -- in which books previously called comics could then be called "graphic novels" with a straight face and appear without irony on lists of the 100 best books of the twentieth century. The way stations of this talk are many images and texts that lie at the heart of comics as an art form, image-text combinations that may evoke nostalgia or provoke laughter, tears, or wonder." Robin Valenza is beginning her fourth year as associate professor of English at the University of Wisconsin-Madison. She came to Madison from the University of Chicago, after finishing her PhD in English literature at Stanford University. Before she became a literary scholar, she was a computer scientist and electrical engineer who worked on automatic textual transcription of audio documents. She currently manages an Andrew W. Mellon Foundation grant that brings together the two sides of her background: her research group is working on how a person can comprehend a million or more books by combining traditional reading practices -- turning pages and reading sentences one word at a time -- and visualization techniques that allow readers to see commonalities among books through the use of color and pattern. Reading at large scales that is -- 1000s to millions of books at once, plays into her interest in comic books and graphic novels because she has a longstanding interest in how our perceptual systems can use color and pattern to glean information, which is a part of our perceptual system that comics use in great measure but that black and white print in a conventional books do not. Comics should be considered an art form and in some ways even better or more complex that modern art itself. It needs serious talent rather than selling a disposition to rich gallery owners. Comic books take more time to understand but better enjoyable. Comics are creative in nature which takes brainstorming and the same will execute in the minds of children. Comic books are best for children.Comics develop brainstorming in their minds. 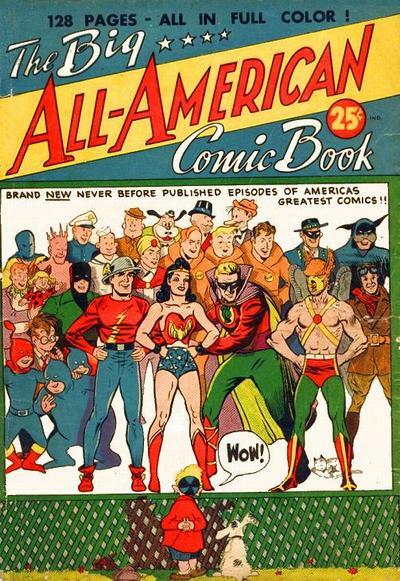 I'd love to see the face of a golden age reader once they turn the page on a modern age book. The art would blow their mind.